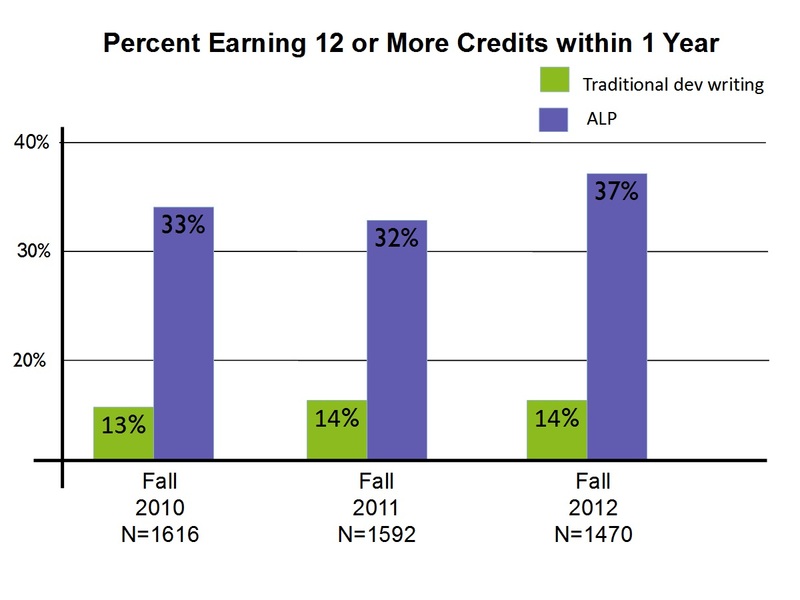 A recently released CCBC student data study shows ALP students are earning more credits (persisting) when compared to students who took the traditional developmental writing classes. The study looked at 3 cohorts of ALP and Non-ALP students who enrolled at CCBC in Fall 2010, Fall 2011, and Fall 2012. 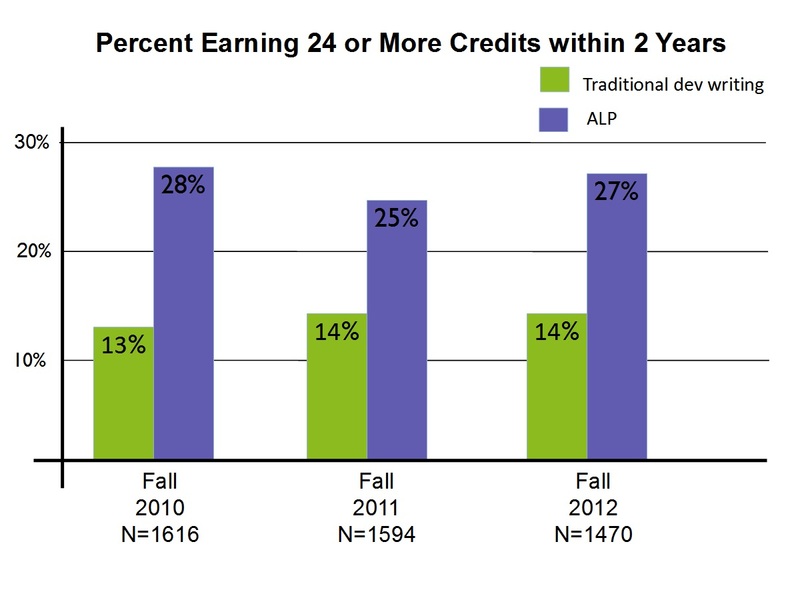 The first data set compared the ALP and Non-ALP students who passed ENG 052 (CCBC’s upper- level developmental writing class) and earned at least 12 credits within 1 year. The second data set compared the ALP and Non-ALP students who passed ENG 052 (CCBC’s upper- level developmental writing class) and earned at least 24 credits within 2 years. This entry was posted in Featured Slider by Admin. Bookmark the permalink.